The Conquest V.H.P. Stefanie Graf & Andre Agassi Foundation timepieces commemorate 10 years of partnership between the two tennis legends and the Swiss watchmaking brand. 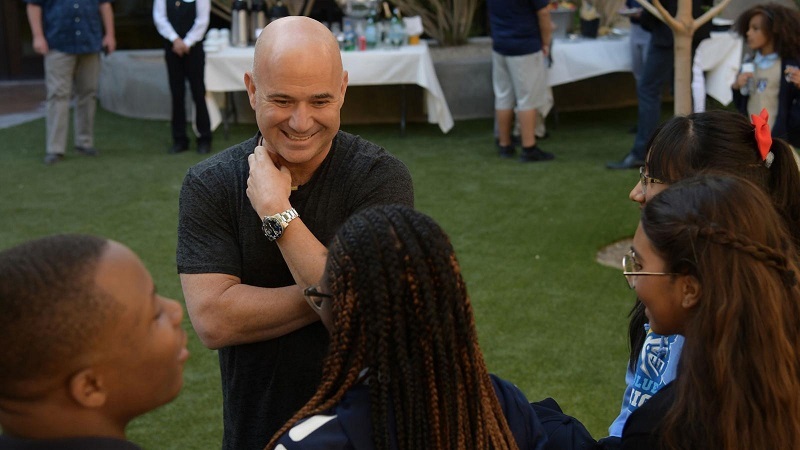 Longines and its ambassador of elegance, Andre Agassi, welcomed to Las Vegas the bidders for the limited edition Conquest V.H.P. Stefanie Graf & Andre Agassi Foundation timepieces, launched to commemorate 10 years of partnership between the two tennis legends and the Swiss watchmaking brand. The charitable buyers, who purchased these exclusive pieces in an auction organised by Longines in Paris in June, visited the Democracy Prep Academy at the Agassi Campus and met the students, before officially receiving their numbered watch sets from the tennis star himself. This presentation marked the conclusion of a charity project that started five months ago, when the prestigious Musée Rodin played host to a charity gala dinner organised by Longines to honour Agassi and his wife, Stefanie Graf. 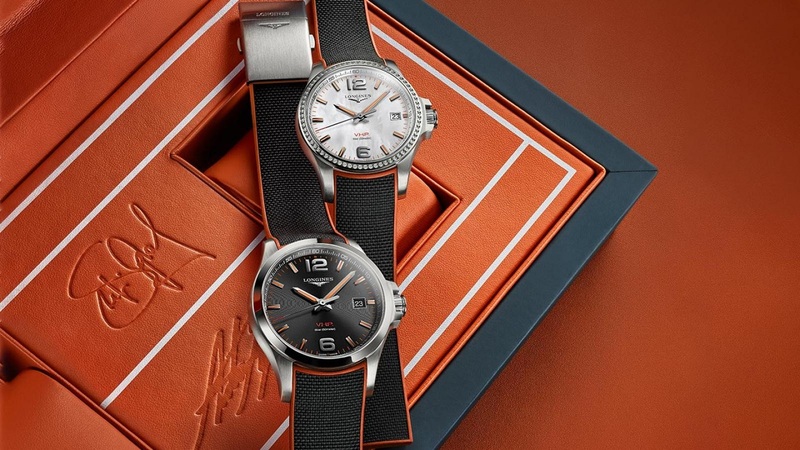 The anniversary timepieces are numbered and limited to 10 pieces each for men and women, and sold through an online auction throughout the month of June. All proceeds were channelled to Children for Tomorrow and The Andre Agassi Foundation for Education, two charities founded by Graf and Agassi respectively. Longines acquired the first piece, numbered 1/10, for its museum in Saint-Imier, while the other nine sets were acquired by the highest bidders, raising a total amount of US$300,000 for both foundations.